The CS-04 Refraction Unit is an optimal combination of the above-mentioned features. 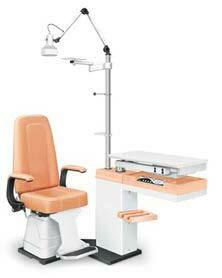 It is engineered with superlative mechanics and smart electronics, offering the user high examination efficiency. Made of high quality material, it is primed for a long life and durable performance with minimal maintenance. CS-04 can accommodate a vast & diverse range of testing, Diagnostics & Operative Instruments & Procedures.